A moloch lizard from the western part of Australia. They live in the red deserts of that continent. 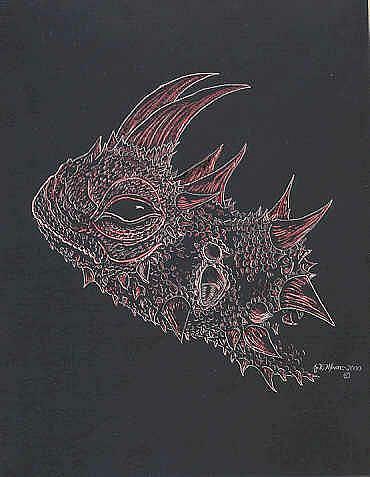 This is part of an ongoing series of lizard faces drawn on scratchboard. Several have been sold & new ones are added from time to time. I wanted to focus on the wide variety of lizard heads, withe the array of crests & shapes. Hopefully it will make people look at them in a slightly different way.